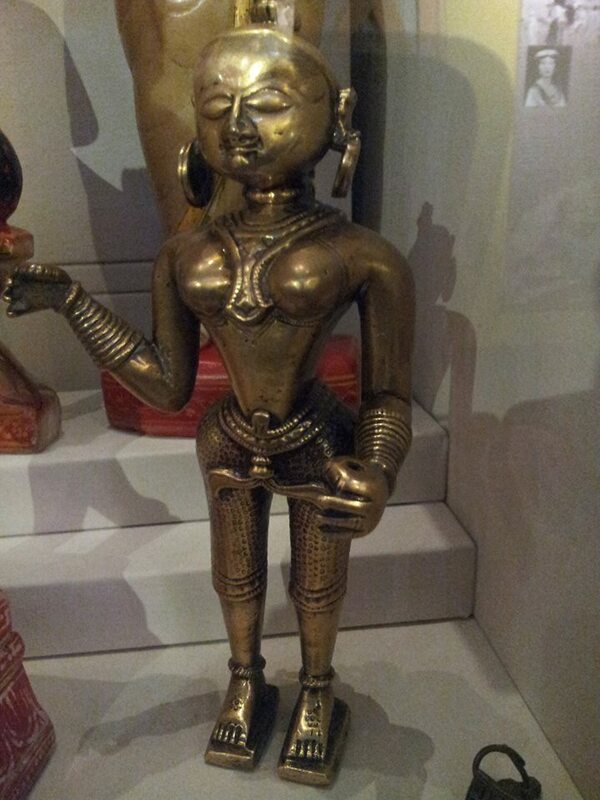 This copper alloy statue shows a woman wearing a short-sleeved bodice worn under a sari called a ‘choli’. Her hands are socketed indicating that she originally held something when she was fashioned some 150 years ago. We really don’t know much about her. Perhaps you can help?